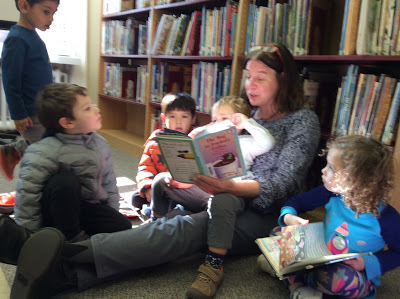 When Nursery comes to the library, we have the opportunity to share our love of reading together! Library time with this age group includes stories, nursery rhymes, songs, and movement. Students also spend time browsing picture books for old favorites and new discoveries. FCS Nursery teacher, Tuesday Vanstory, recently wrote an informative blog post about the wonderful Nursery program at Friends’ Central.